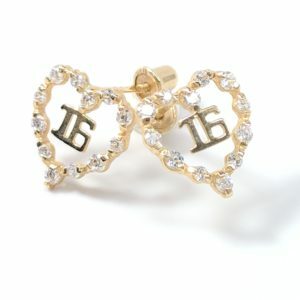 These sweet sixteen zirconia stud earrings made of 14 karat yellow gold will add glamour and bling to her special day. 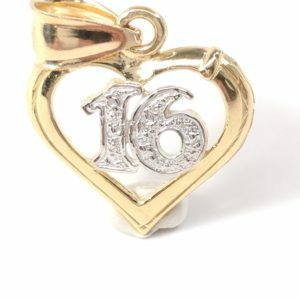 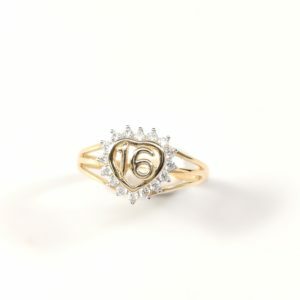 Here’s a gift for your little princess, something she will cherish as a memory of a special time all throughout her years growing up. 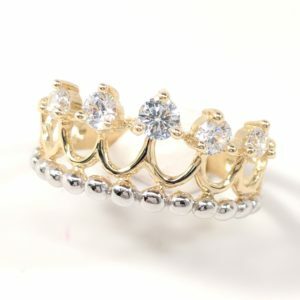 This stunning crown is made of 14 Karat yellow gold with white and a single deep pink zirconia. 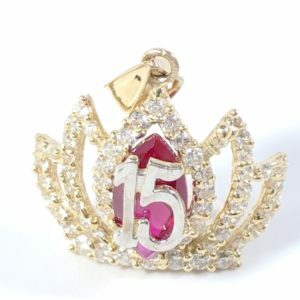 This Gold Quince Crown Pendant will be the hit of the party! 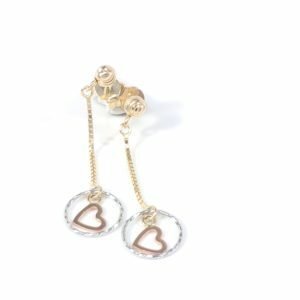 These dangling huggies in 14 karat yellow, white and rose gold are the perfect accessory to for any occasion. 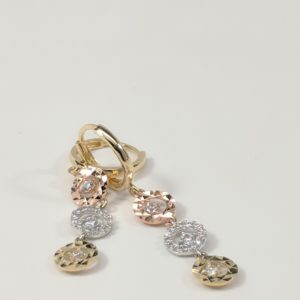 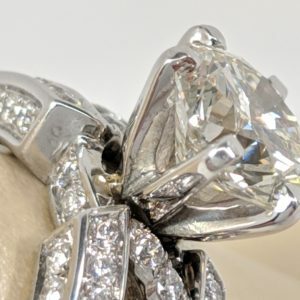 Shimmering in cubic zirconias, each round disc is diamond cut to add shimmer and beauty. 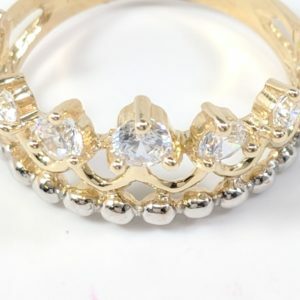 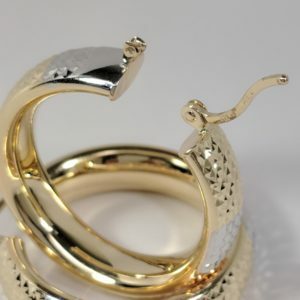 Tiara cubic zirconia ring made of 14 karat yellow gold. 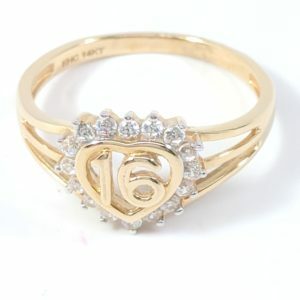 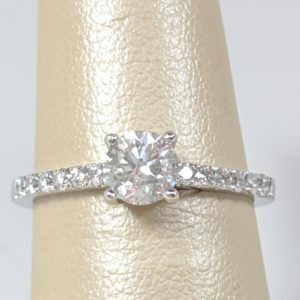 Ring size 8. 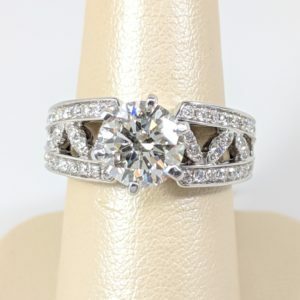 The good news is that it’s possible to get the ring resized up or down. 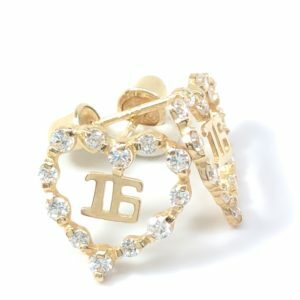 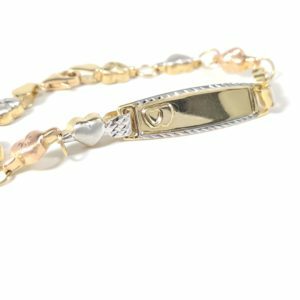 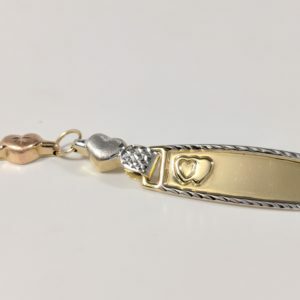 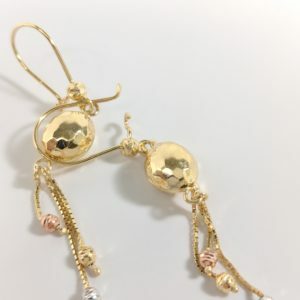 Accessorize any outfit with these 14 karat white, rose and yellow gold dangles, designed at the end of the dangle with a rose gold heart and wrapped in the endless loop of white gold love. 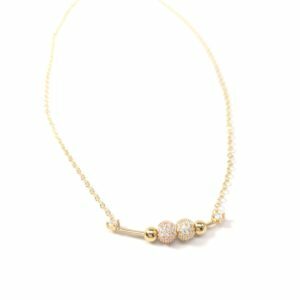 This stud dangle is effortless, sophisticated style fit for every occasion. 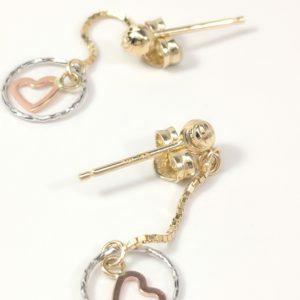 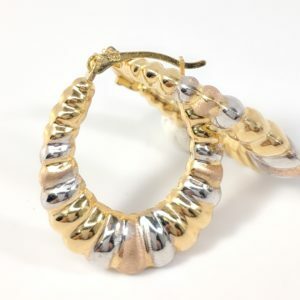 These earrings have push back for enclosure. 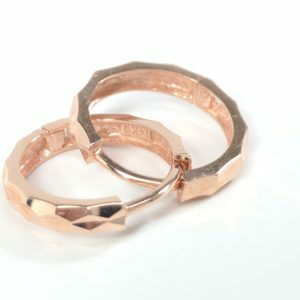 Expertly crafted in Italy, these hoop earrings are absolutely captivating! 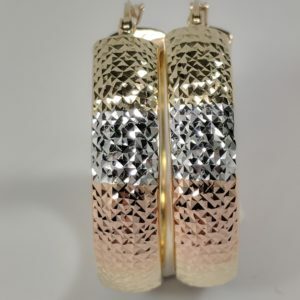 Designed in 14 karat yellow, white and rose gold, the individual sections are precisely set to create a chic rolling pattern.